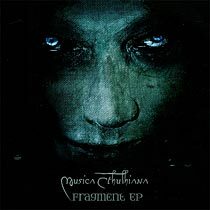 One nice discovery of the year 2010 was Fragment by Musica Cthulhiania aka Götz Müller-Dürholt. The project humbly devotes itself to produce background music for horror roleplaying games, to be more specific for the 'Call of Cthulhu' RPG published by Pegasus Spiele GmbH. (If you are not familiar with this and you like web comics, try The Unspeakable Vault of Doom to get some enlightenment.) The reason I post this little review is because this release deserves a bit more attention than as a game supplement. 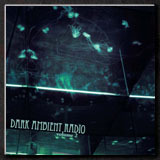 The style is described as "Dark-ambient, doom-jazz, horror-electronic and strange noises. Drone to minimal melodies." And just alone for bringing dark ambient together with jazz (like in the track Onncult), this little masterpiece deserves to be noticed. But there is more to be discovered in the 25 tracks of the 2CD -- just as the announcement promises. For example, the track 'Arkham Sanatorium' curiously reminds me of some sounds used in another hommage to Lovecrafts works: "The Music of Erich Zann" by Forma Tadre. 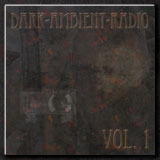 A 20-track mp3 download from the projects online shop. 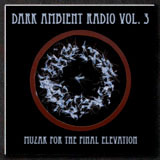 A 25-track 2CD version to be ordered from the online shop. But I've written enough. You can download the EP right away now and listen for yourself. But be warned: You will most likely soon find out that the EP is not enough and want more!